I was in Brattleboro, Vt. last week for a work visit, and got a chance to check out a new brewery and restaurant the Northeast beer community has been buzzing about. 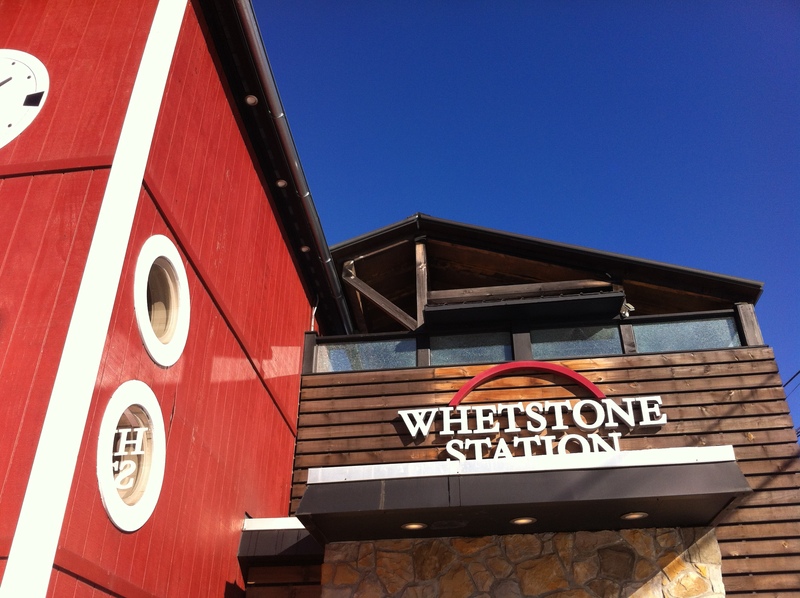 The reasons to visit Whetstone Station Restaurant and Brewery are countless. 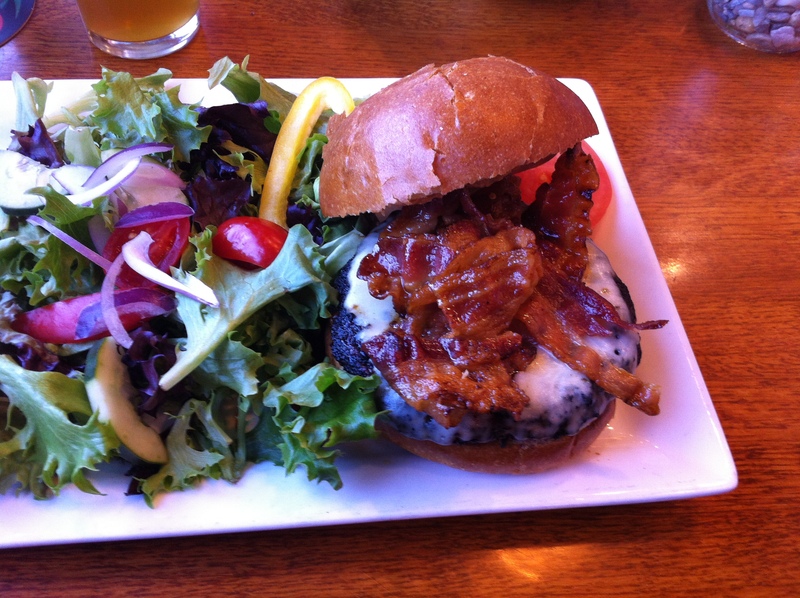 If the great food – Tim’s Awesome Burger with peanut butter and bacon, anyone? – and beer brewed on-site don’t tickle your fancy, then how about dining on the banks of the Connecticut River as trains chug by? Sampling small plates in the Bier Garten from May to November? Or how about this … checking two states off of a cross-country beer tour list under one roof? That’s right, the New Hampshire – Vermont line runs right through the Whetstone. Looks like a fun assignment, but I think I would have to forgo the peanut butter burger!